Access the catalog to see what's available and to manage your account. Use the last five digits of our library card number and your phone number, including the area code to log into your account. The Depot Civic Center is a unique venue for your event that exudes a sense of days gone by in the historic railroad cargo room. Click on the box above to for a copy of the rental agreement. Volunteers are essential for libraries. From the Board of Trustees to shelving books, volunteers are used in many ways at the library. Click on the box above for an volunteer application. 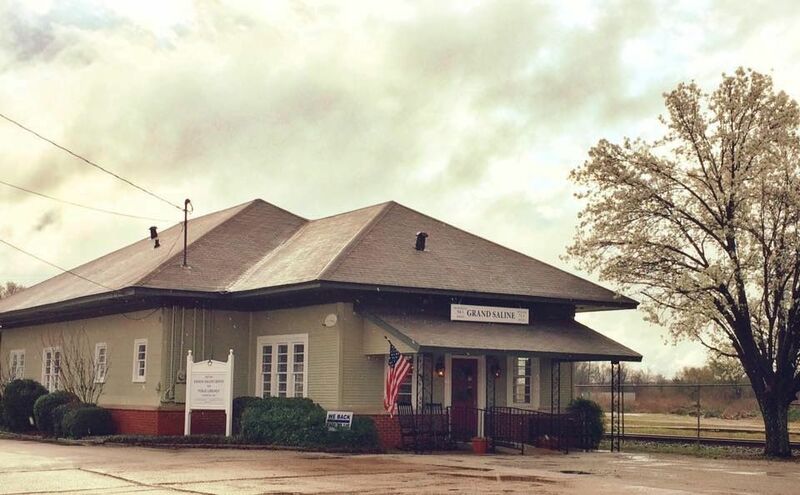 The community calendar has information for all the events happening in Grand Saline. Please contact the Main Street office if you would like to have something added to the calendar. The Friends are a volunteer group that provides support to the library. Memberships are available. The Friends work alongside library staff to help make our library be the best it can be for our community. Click on the box above for a membership letter. Preschool storytime is held from September to mid-December and February to mid-May at 10:30am on Thursdays.